My name is Michael Sklanowsky and the Jet Propulsion Laboratory was my first full-time job upon graduating from UCLA. I was recruited and hired by Raoul Roth, my boss, mentor and Section Head. Our section solved problems related to celestial mechanics, spacecraft orbit determination, trajectory analysis, instrument operations, and human interfaces for real-time command and control. After Raoul left JPL to become an attorney and a Judge, I reported directly to Mike Warner, our Department Head. My group was Section 315: Flight Operations Support. We worked closely with the "brainiac" physicists, mathematicians and engineers in Navigation Section 391 who dreamed up most of the math behind our computer solutions. Our pioneering work led to computerized tools that supported all unmanned space exploration for the United States. Mariner 9 Mars was my first project. The historical significance of Mariner 9 was it became the first man-made satellite to orbit another planet. The 3 person team I was on with Margaret Siemens and Dave Pippen developed POGASIS (Planetary Orbital Geometry and Science Instrument Scan). POGASIS, in part, was a Kepler Equation simulator to get a "best guess" estimate for input to the Newton-Raphson calculator called DPTRAJ. Another function of POGASIS was to map Mars. I found documentation I wrote of POGASIS as .... "Determines the orbital science strategy that optimizes science data return and computes for the spacecraft the required scan platform angles and instrument viewing times. POGASIS also computes actual planet coverage and observation conditions based on data received matched to platform orientation and time." Among the incredible features of POGASIS, I think the single most interesting accomplishment was to predict the exact conditions under which to aim the on-board instruments. 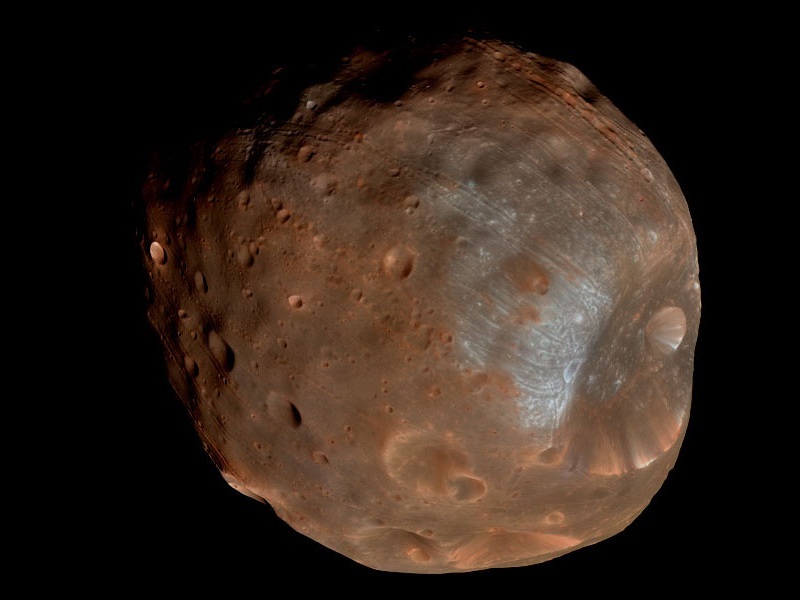 For example, we took the first photo of Phobos, a moon of Mars. Phobos and the other Mars moon Deimos were the darkest objects in our Solar System ever photographed! 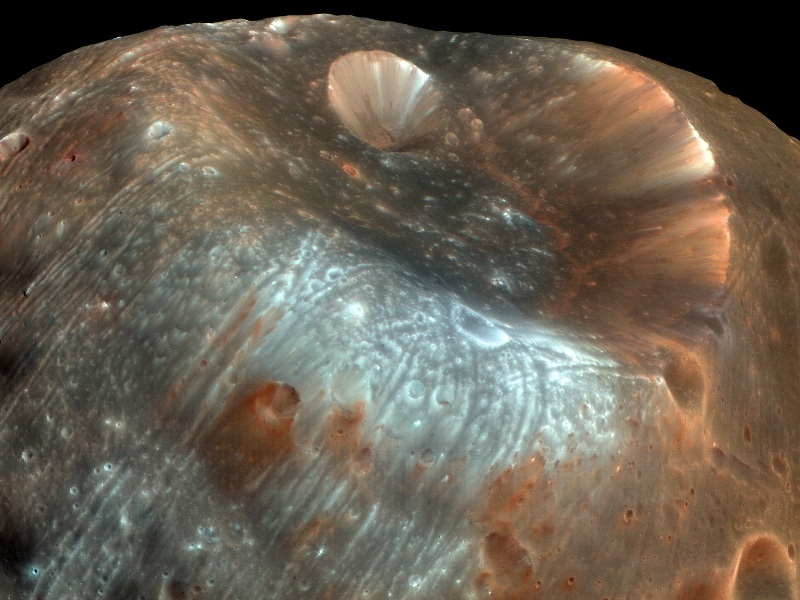 This high resolution color photo of the potato shaped moon is from the 2008 Mars Reconnaissance Orbiter mission. 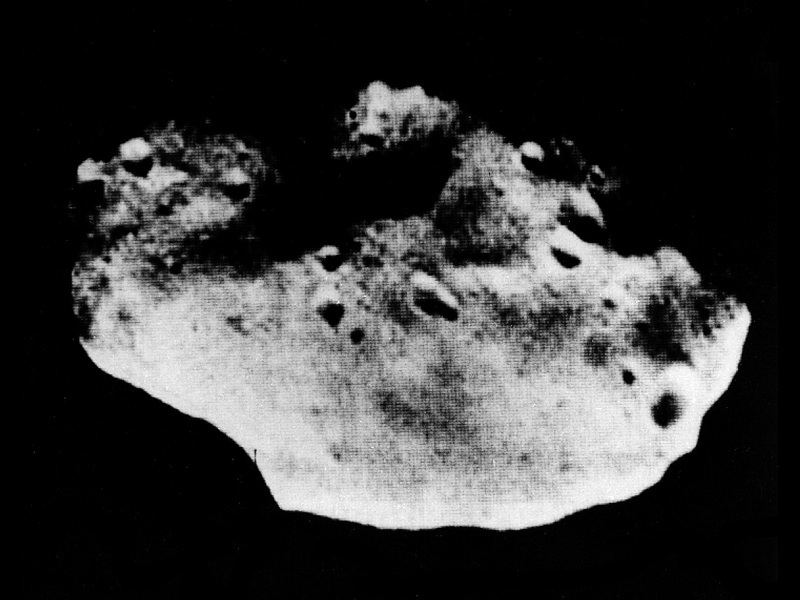 Here's the first photo taken of Phobos from Mariner 9 in 1971. 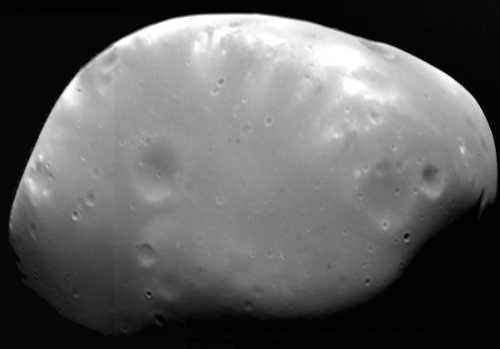 Here's a picture of Deimos, the smaller moon of Mars. CARDS was another software I developed. This was an interactive terminal based data entry program for assigning values to variables on the Univac 1108. The software allowed setting initial conditions such as time, velocity, acceleration, instrument pointing angles which then allowed users to update variables and values on the fly. CARDS replaced punchcards and it was an early implementation of computer memory allocation through "linked lists". It replaced Fortran Namelist. JPL received an IBM 360/175, one of the biggest IBM computer models made from the Houston Apollo project. This was unwelcome because we had to deal with interfacing a hex machine with an octal machine in real time. 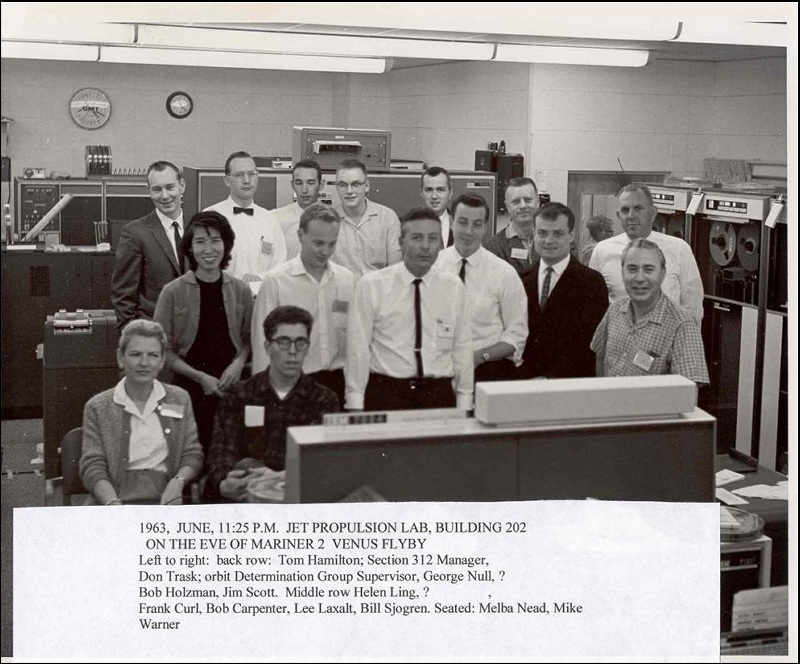 In fact JPL had to rewrite the entire IBM operating system: RTOS became JPLOS. I personally dealt with the issue of converting 32 bit double precision floating point numbers to 36 bit and vice versa. What I think was fascinating about our era was that so many firsts in computer sciences were accomplished by our group. 2. Creation of the first "electrical interface" between the Univac and IBM computers, i.e. networking. 3. Use of a user terminal interface for near real time execution of job commands on the Univac (no more cards). Other mission accomplishments from Mariner Mars. 1. Long-life programmable lithium batteries (now used in heart pacemakers, cellular phones, consumer electronics). 2. 8 bit gray scale colorizing. 3. Use of micro computers featuring self-test and repair for multi-year space missions. My final position was as the "Interface Man" working for Fred Lesh in a project management role. Gerd Spier (last time I saw him he lived in Glendale), mathematician, engineer. Ted Pavlovitch (author of Track Mops, a great racetrack betting package). I was curious as to what happened to POGASIS. Dr. Jeff Boyer wrote an article with this abstract on SEQ-Pointer which is the next generation of POGASIS. Since Mariner, NASA-JPL planetary missions have been supported by ground software to plan and design remote sensing science observations. The software used by the science and sequence designers to plan and design observations has evolved with mission and technological advances. The original program, PEGASIS (Mariners 4, 6, and 7), was re-engineered as POGASIS (Mariner 9, Viking, and Mariner 10), and again later as POINTER (Voyager and Galileo). Each of these programs were developed under technological, political, and fiscal constraints which limited their adaptability to other missions and spacecraft designs. Implementation of a multi-mission tool, SEQ POINTER, under the auspices of the JPL Multimission Operations Systems Office (MOSO) is in progress. This version has been designed to address the limitations experienced on previous versions as they were being adapted to a new mission and spacecraft. The tool has been modularly designed with subroutine interface structures to support interchangeable celestial body and spacecraft definition models. The computational and graphics modules have also been designed to interface with data collected from previous spacecraft, or on-going observations, which describe the surface of each target body. These enhancements make SEQ POINTER a candidate for low-cost mission usage, when a remote sensing science observation design capability is required. The current and planned capabilities of the tool will be discussed. The presentation will also include a 5-10 minute video presentation demonstrating the capabilities of a proto-Cassini Project version that was adapted to test the tool. The work described in this abstract was performed by the Jet Propulsion Laboratory, California Institute of Technology, under contract to the National Aeronautics and Space Administration. This photo predates my time at the Lab by 5 years. JPLODP was the Orbit Determination Programming section. I still maintain contact with some of my JPL colleagues. Pat Corcoran passed this picture on to me. Mike Warner, my former boss and great friend is pictured as a young man. Unfortunately he passed away in the late 1990's. Today I was made aware that Lee Laxalt has also passed on. 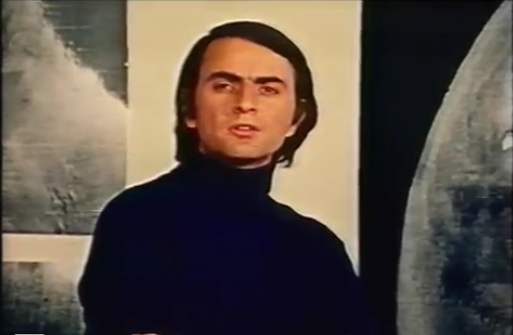 Dr. Carl Sagan narrates a NASA video that describes the fascinating discoveries of the 1971-1972 Mariner 9 Mars Orbiter.